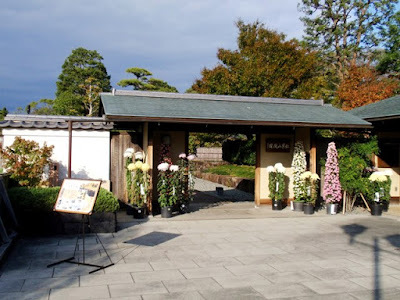 Momijiyama Garden/紅葉山庭園 is located in Sunpu Park in the heart of Shizuoka City. The park once surrounded Sunpu Castle which was built in 1585 by Tokugawa Ieyasu, founder of the Tokugawa Shogunate. Once inside Sunpu Park, follow the signs to Momijiyama Garden. 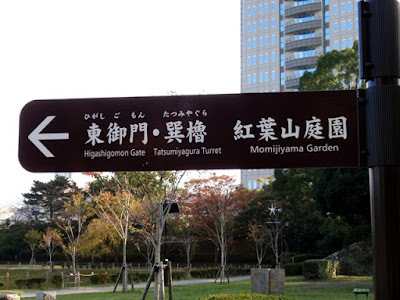 Admission to the garden is 150 yen. 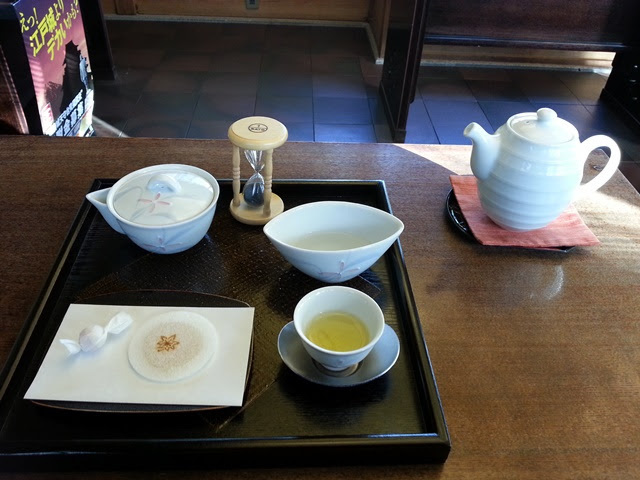 Tea service may be added on to admission for an additional 510 yen. Enjoy a scenic stroll through the garden which features a koi pond, miniature Mount Fuji, waterfalls, wooden pavilion, and teahouse. A portion of the landscaping is designed to resemble a tea farm. 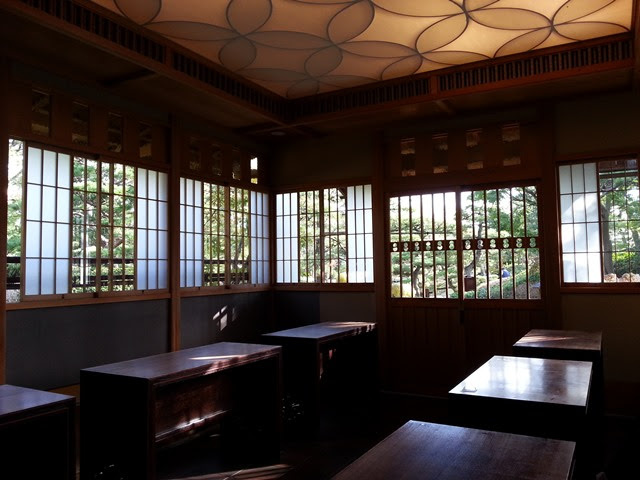 The teahouse includes two traditional chashitsu (tea rooms) named Seigatsu-an and Unkai. These tea rooms are available to rent and may be visited when they are not occupied. Ask about availability for viewing or rental at the garden entrance. A third ryurei-style (table) chashitsu in the teahouse is where visitors can enjoy a relaxing and refreshing tea service. Seating in the tea room is on comfortable tatami benches. Visitors will be greeted by a volunteer and asked which tea service they prefer which includes benifuuki sencha, Nihondaira sencha, Mariko black tea, matcha, and gyokuro. For those that prefer to plan ahead, the menu is also available online. Many of the teas are prepared and ready to pour when they arrive at the table. I requested gyokuro which is more hands-on. A volunteer brought out a houhin (teapot for gyokuro), yuzamashi (water cooler), pot of hot water, tea cup and saucer, a timer, and wagashi (sweets). I was also provided with preparation instructions to get the best results from the tea. The pot held enough hot water for four infusions of tea. 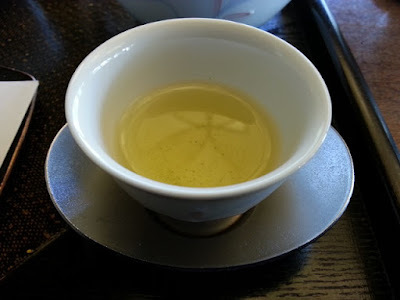 For the first infusion, I poured a small amount of water into the yuzamashi, poured this onto the tea leaves in the houhin, let it steep for one minute, and poured into the tea cup. The second and third infusions were the same, with a shorter steeping time of thirty seconds. The fourth infusion is the same with no steeping time before pouring. As I finished the last cup of gyokuro, a complimentary cup of hojicha was brought to my table. 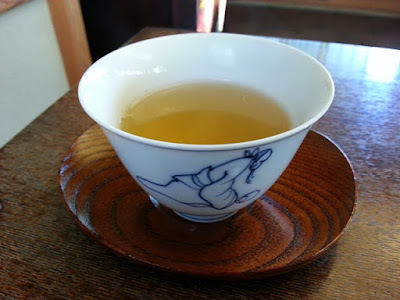 While savoring my tea, I looked out at the garden, breathing in the fresh air from the open windows and listening to the birdsong outside and the quiet conversations inside. 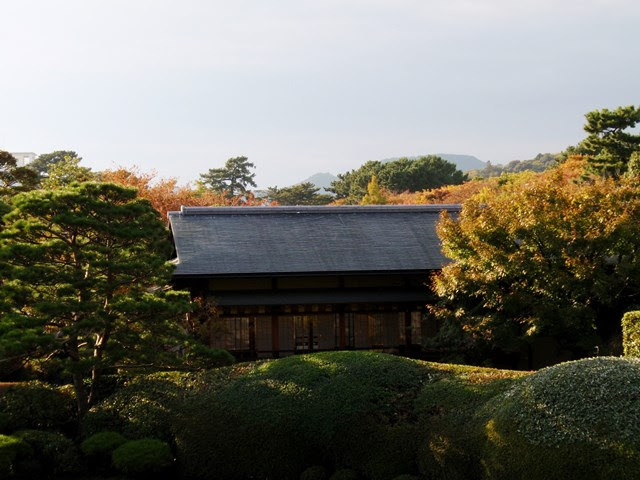 Momijiyama Garden is beautiful and the tea room is a pleasant retreat from the busy world outside. The tea sounds refreshing. I wish we can have Momijiyama Garden here at local.